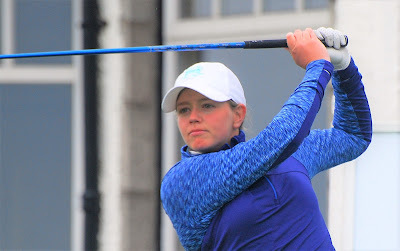 Top seeds Chloe Goadby (St Regulus Ladies) and Emma Hale (Troon Ladies) were beaten in the first round of the match-play stages of the 103rd Scottish women's amateur championship. 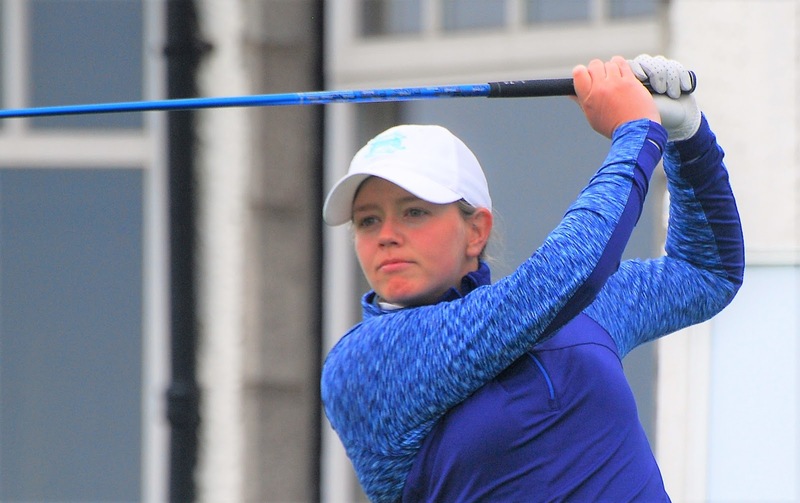 They were KO'd by the last two of the 32 match-play qualifiers, 17-year-old Molly Richmond (Strathaven) and 20-year-old Kimberley Beveridge (Aboyne). Richmond, a Scotland girl international, took 88 shots in the qualifying round, 11 more than joint lowest Goadby. "I played a lot better today," said jolly Molly. "I reckon I was round about par or maybe one over then the match finished. I lost the first hole to an eagle by Chloe but she lost a ball at the second and that put us back to square. 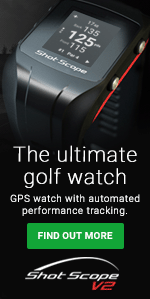 "Then I went two up with a par at the third and a birdie 4 at the second and I was four up after seven. "I lost both the par 5s to birdies but when I won the 14th to go back to four up, I knew I was going to win. Chloe was a very sporting loser. She took defeat very well." Richmond now plays the No 16 qualifier, Susan Wood (Drumpellier) a 4 and 3 winner against Karen Ferguson-Snedden (Duddingston). Beveridge, who has just completed a second year at Tyler Junior College, Texas, was two up after seven holes against Ayrshire's Hal and was never overhauled. Shannon McWilliam (Aboyne) and Hannah McCook (Grantown on Spey) set up a second-round meeting with wins over Margo Gardner (Linlithgow) and former champion Gabrielle MacDonald (Craigielaw) respectively. 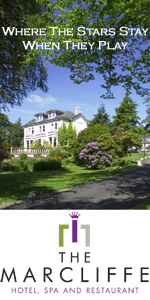 McWilliam won by 4 and 3 against Gardner after being two up at the 10th. McCook never led until she holed a 5ft par putt on the 18th to win that hole and the first-round tie against MacDonald. Hannah was one down after seven holes and three down after 10 but McCook rallied to square the game after 17 holes. Defending champion Ailsa Summers (Carnoustie Ladies) was a 2 and 1 winner against another former Angus county champion, Jacqueline Cameron (Blairgowrie). Ailsa was one up after seven and two up after 10. St Rule Trophy winner and 2015 national champion Clara Young (North Berwick) beat Eilidh Watson (Muckhart) by 5 and 4 after being two up after seven and three up after 10. M Richmond (Strathaven) (32) bt C Goadby (St Regulus Ladies) (1) 4 and 3. Susan Wood (Drumpellier) (16) bt K Ferguson-Snedden (Duddingston) (17) 4 and 3. K Wright (Stranraer) (8) bt K Brodie (Strathmore) (25) 2 holes. J Farrell (Cardross) (9) bt H Scott (Broomieknowe) (24) 2 and 1. S McWilliam (Aboyne) (4) bt M Gardner (Linlithgow) (29) 4 and 3. H McCook (Grantown on Spey) (13) bt G MacDonald (Craigielaw) (20) 1 hole. G Paton (Royal Montrose) (5) bt M Robb (Peterculter) (28) 2 and 1. C Jaffrey (Troon Ladies) (21) bt H Munro (Monifieth) (12) 7 and 6. C Taylor (Nairn) (11) bt M Sievwright (Maverston) (22) 5 and 4. T Mactaggart (Minto) (6) bt E Moffat (St Regulus Ladies) (27) 5 and 4. A Summers (Carnoustie Ladies) (19) bt J Cameron (Blairgowrie) (14) 2 and 1. J Saxton (Muckhart) (3) bt J Mackintosh (Hazlehead) (30) 5 and 4. C Young (North Berwick) (23) bt E Watson (Muckhart) (10) 5 and 4. R Polson (Kemnay) (26) bt J Rankine (Haggs Castle) (7) 3 and 1. A McKay (Crail GS) (18) bt K Marshall (Baberton) (15) 1 hole. K Beveridge (Aboyne) (31) bt E Hale (Troon Ladies) (2) 2 and 1. Richmond bt Susan Wood 3 and 2. Farrell bt Wright 2 and 1. McCook bt McWilliam 2 and 1. Saxton bt Summers 1 hole. McKay bt Beveridge 5 and 3. C Thompson (Royal Dornoch) (1) bt M McInnes (Bearsden) (16) 9 and 7. F Seedhouse (Aberdeen Ladies) (9) bt Sheena Wood (Aberdeen Ladies) (8) 3 and 2. K Blackwood (Glencorse) (13) bt P Wilson (Burntisland) (13) at 19th. C Wilson (Murcar Links) (12) bt S Cameron (Gullane) (5) 3 and 2. W Nicholson (Baberton) (6) bt S Stitchbury (Gullane) (11) at 19th. 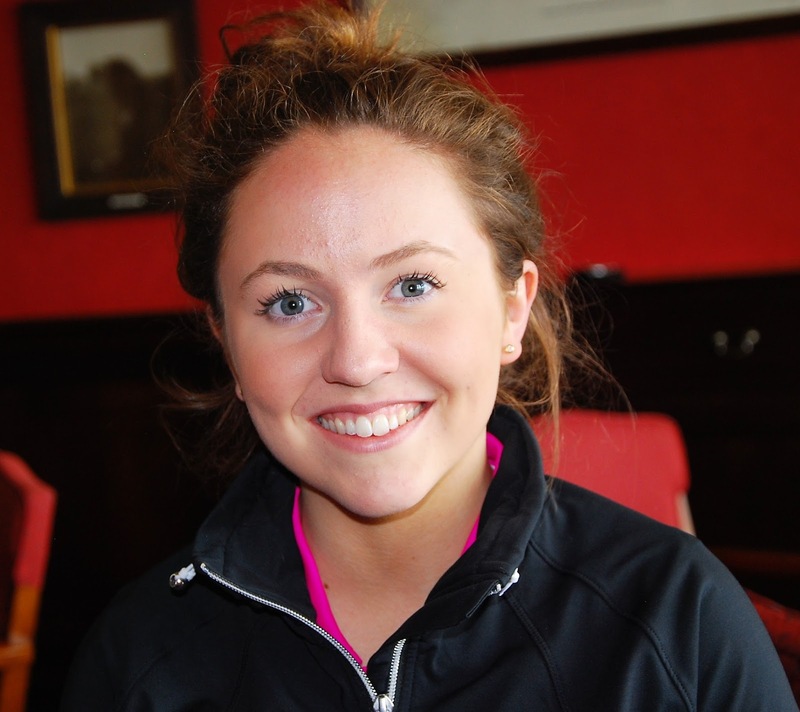 S Leslie (Aberdeen Ladies) (3) bt E Docherty (Moray) (14) 1 hole. L Wilson (Kelso) (10) bt L Anderson (Duff House Royal) (7) 5 and 4. 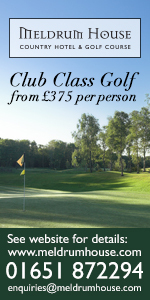 L McClymont (Milngavie) (2) bt R Hunter (Lanark) (15) 1 hole. Thompson bt Seedhouse 2 and 1. McClymont bt L Wilson 1 hole.